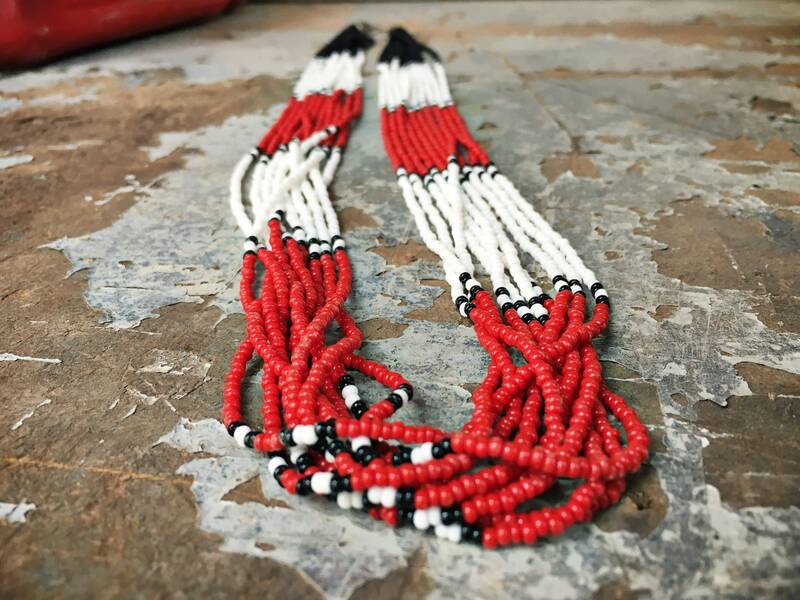 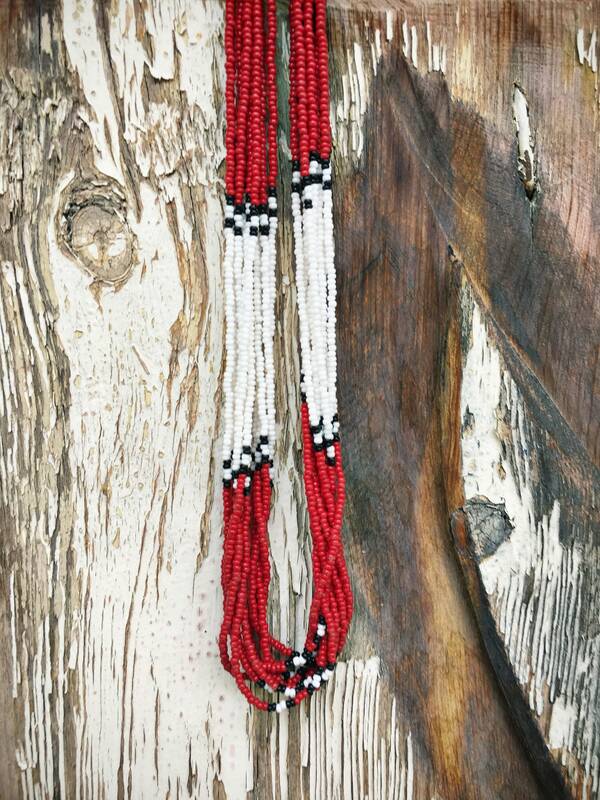 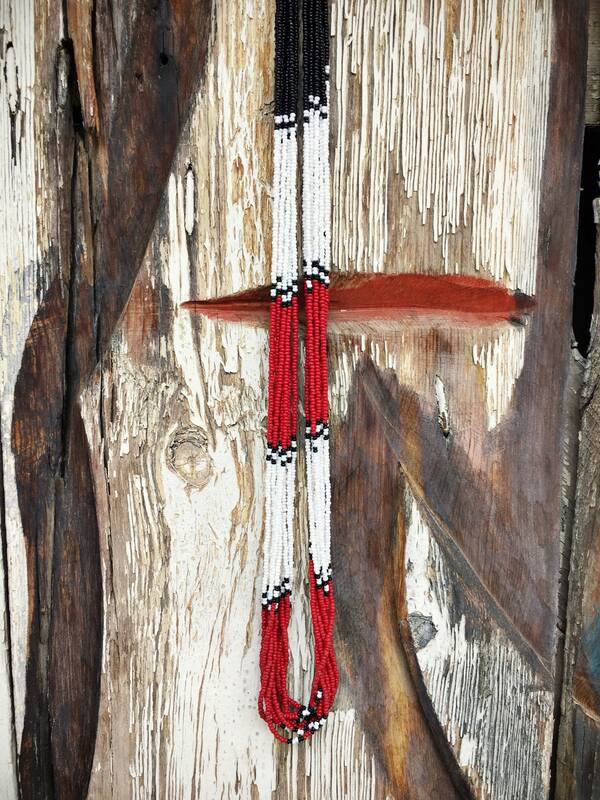 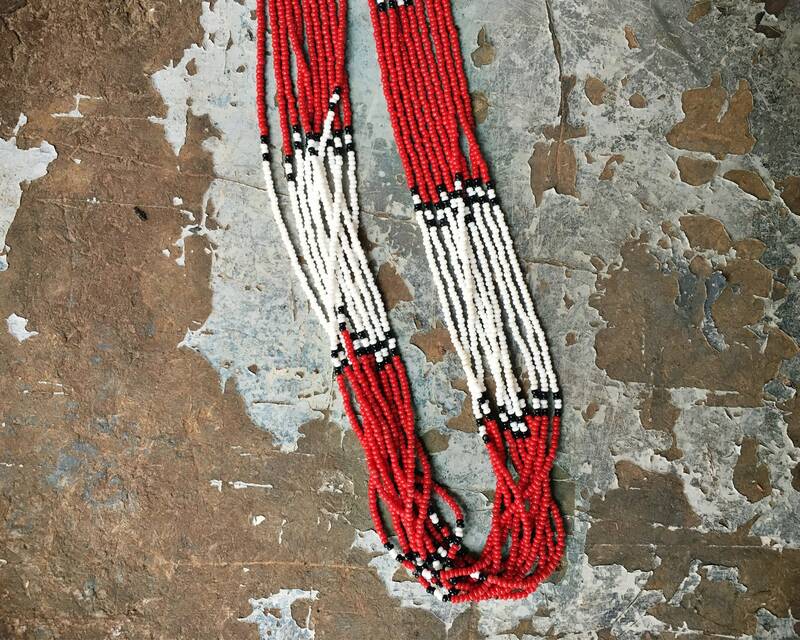 Fabulous seed bead necklace in bold red and black and white--colors reminiscent of the tribal cultures worldwide. 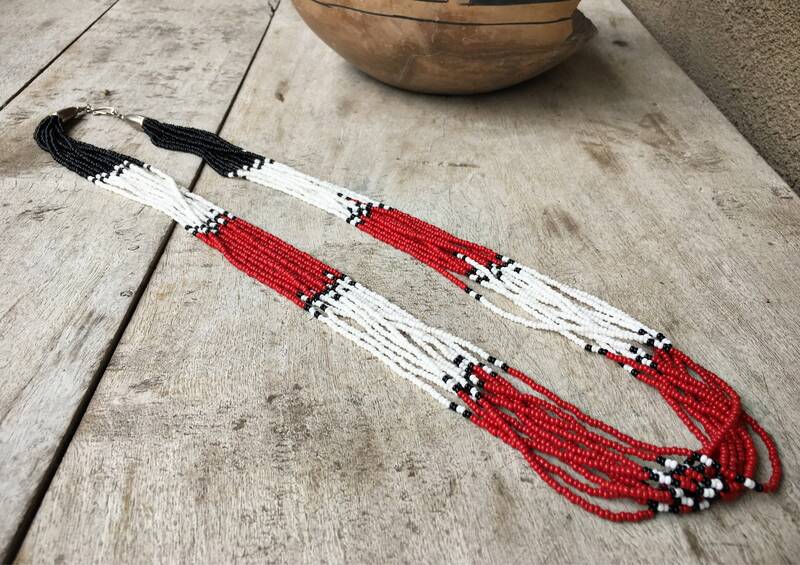 Made with ten strands of seed beads, long sections of red alternating with white and a bit of black. 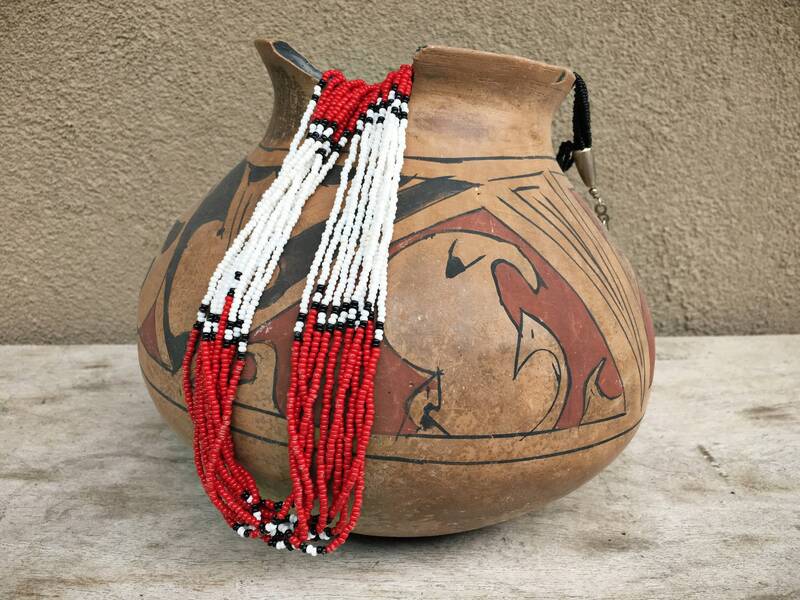 The clasp tells us this may be a tribal piece, not Native American, although it is Native style. 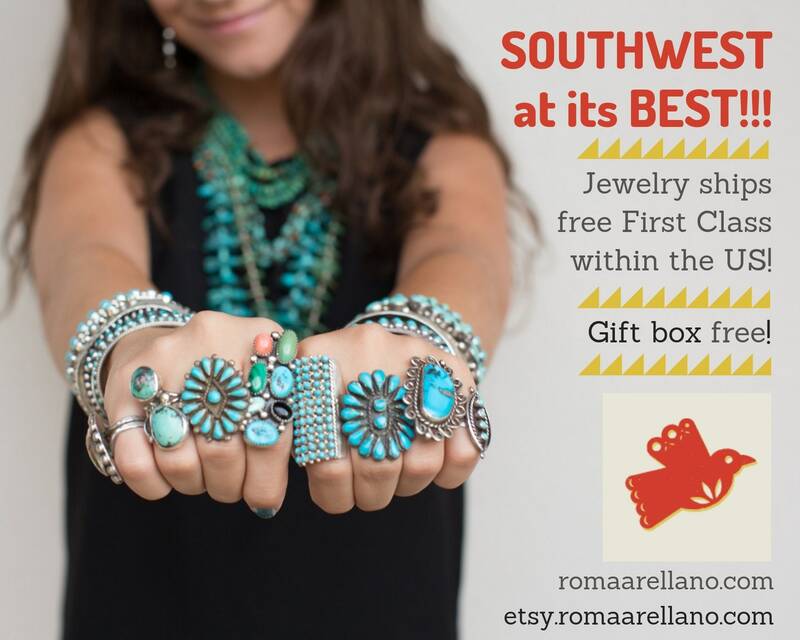 Perfect for the boho hippie woman in your life. 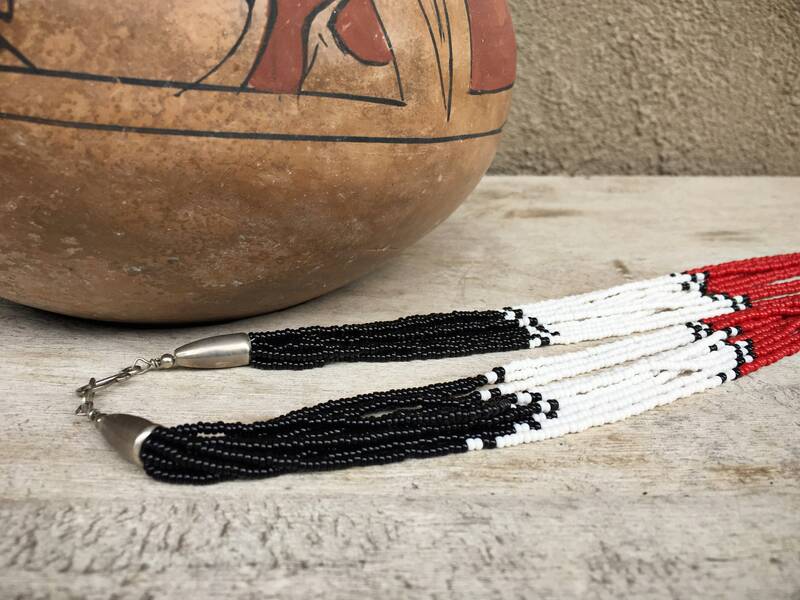 The necklace measures 30" long and slightly longer including cone and clasps. 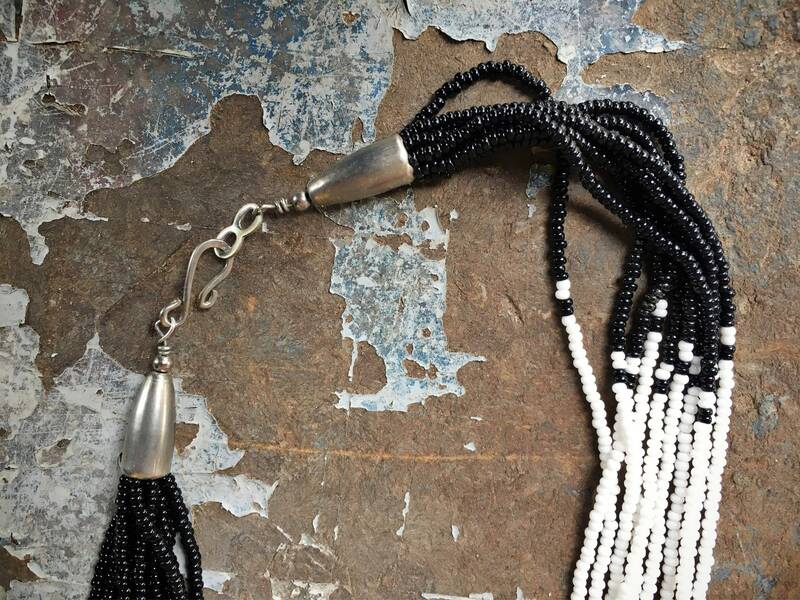 A great length for layering.